HomeApril 2016Do protest marches help any more? While some argue that protest marches “don’t… help any more”, Natalie Lindner L’Huillier is not convinced we can throw them away just yet. Lately I’ve been thinking about the dynamics of public protest and refugee advocacy in Australia. I’m part of a generation whose entire adult life has been marked by successive Federal government actions that have treated people seeking asylum with increasing harshness and cruelty. In the face of the spiralling injustice, protesting, signing petitions and writing to Federal parliamentarians has felt necessary – a civic duty to voice my rejection of the policies and to act with others who believe we must find a better way. The power of my vote on election day has felt too small and democracy too blunt a tool to cut through the layers of fear and hostility holding sway over public opinion. So it was with some confusion I read Moira Rayner’s recent article in Eureka Street claiming that change on refugee policy is possible but protest marches “don’t… help any more”. I usually warm to Rayner’s opinion pieces and find her work encouraging. Was I reading right? Did she say protest marches don’t help anymore? At all? Maybe I was mistaken. But I do think I understood correctly. For Rayner, the change refugee advocates seek is only possible through “deep democracy” which rests in the work of “local activism on local issues and generational organisation from the grassroots up”. In other words, local collectives thinking about and acting for the common good in their context are effective; protest marches are not. Certainly, she is very suspicious of the kind of help Brisbane protesters were able to offer at the Lady Cilento Hospital in February this year. It’s a provocative stance. And she went further: churches can do grassroots for the common good well, so churches should worry less about the marches and grow mature, engaged citizens. I do find parts of Rayner’s perspective appealing. It reflects a wisdom born of experience in the field. She values local community as a site of human relationship and transformation – a reality so easily overlooked in our globalised world with its tendency to identify power within the halls of centralised structures and institutions. Her perspective takes seriously the capacity which each of us – and our parish communities – have to nurture a healthy democracy and pursue the common good. In a Catholic imagination, Christian participation in “deep democracy” is nothing if not an expression of the Gospel lived and proclaimed. Our capacity to live a locally engaged solidarity is most definitely an ideal I hold to. But I’m not convinced that we can throw away protest marches just yet. In comparative terms, I’m but a whippersnapper in the places I connect into my community. Intelligent, competent and faithful folks have been at this “deep democracy” stuff for decades. Indeed, deep democracy is happening. It is perhaps even growing. And few would dispute we need more of it. To my mind, Rayner’s exhortation to “deep democracy” underestimates the role that protests have in animating “deep democracy” – and vice versa. When it comes to the treatment of refugees, we take to the streets with our painted placards from our many sites of local engagement because the status quo is unacceptable. Despite our long-held efforts to “think globally, act locally”, the plight of those who ask for safe refuge within our nation continues to worsen. Governments are returned, rewarding their cruelty. And our national consciousness seems to slip further into a parochial paradigm in which arguments such as ‘deterrence’ gain credibility and further traction. Spurred on by the conviction that another national narrative is both possible and necessary, we move from the local and private spaces of conversation and debate to the public sphere – the space where social imaginations are formed and influenced. There we tell our stories and we invite others to imagine differently, too. I have been drawn more deeply into the divine drama of salvation as it is lived in my faith tradition, and my local community, through public invitations to consider counter narratives as proclaimed by protest speakers. Who could forget, for example, Tim Winton’s Palm Sunday speech in 2015? And I’m not the only one. Jesuit priest Andrew Hamilton, in his response to Moira Rayner’s article, argues that direct policy changes are not the only, nor the most adequate way of assessing the effectiveness of marches. Marches, he says, are valuable as public rituals; “they are important because they enact a full, vibrant and humane vision of society in the face of a narrow and vicious version”. The point is, when it comes to the treatment of refugees in Australia, our capacity for “deep democracy” is hamstrung by a social imagination that is deficient and fails in its ability to hold both respect for the human dignity of ‘the boat person’ with the need to protect our borders. Drawing on philosopher Charles Taylor’s language, we need what theology might term a conversion of our Australian social imaginaries in order for our “deep democracy” to be truly effective on refugee rights. I recall too many conversations with intelligent people who would qualify as being engaged in “deep democracy”; the emphasis of concern is the difficulty of Australia’s circumstance in protecting human life and the need to deter boat arrivals at all costs. Our admittedly complex circumstances have ceased to be an invitation to persist in the search for compassionate and equitable solutions, and have become instead a justification for the inhumane. And so, we justify detaining vulnerable people under models of border protection that we know cause certain harm. And we continue to do untold violence to all involved – our national consciousness and democracy included. Perhaps Rayner and I have more in common than I initially thought, when she writes: “I no longer believe that broad marches for huge national issues have any effect on local powerbrokers”. At this point in our national conversation the change I seek as we march lies in how we Australians imagine ourselves and our world – the way we imagine our humanity, and the humanity of refugees who ask for safety in this place we call home. When we do that, I suspect the local powerbrokers will change, along with our own hearts. 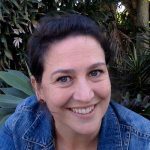 Natalie Lindner L’Huillier is a Brisbane-based theologian whose areas of special interest are ecumenism, dialogue and the intersection of ecclesiology and ethics. She is a PhD candidate at the Irish School of Ecumenics, Trinity College Dublin, and teaches sessionally at Australian Catholic University.